The war started with clashes over the religious sites in the holy land between the Russian Orthodox Church and French Catholic Church. The Russians taking advantage of the collapse of the Ottoman Empire, sent troops to secure Russian influence on these religious sites, invading Ottoman/Turkish territory. Turkey declared war on Russia. 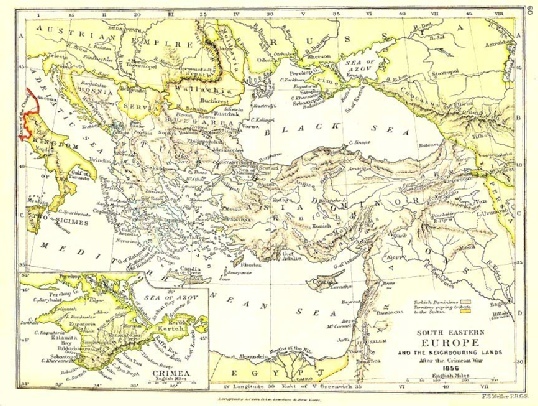 Britain and France as allies of Turkey, and fearing Russian dominance in the Middle East and also the possibility of Russia getting naval access to the Mediterranean via the Dardanelles, declared war on Russia. 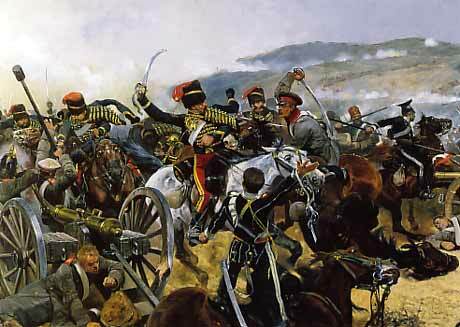 Most of the war was fought in and around the Black Sea and the Crimean peninsula in southern Russia.